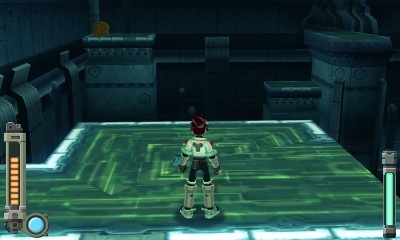 A little while back, the fine folks at the Neo Devroom began collecting ideas for new Mega Man Legends ruins. Legends enthusiasts were tasked with designing something unique, legitimate and maybe even a little dangerous. I mean, what Digger doesn't like a good perilous ruin every now and then, right? The finalists have all been narrowed down, and it's up to you to decide which ruin will go on to become the champ! Simply head over to the Neo Devroom, take a gander at the five finalists, and place your vote. Polls close on Tuesday, July 24th, so don't dwadle too long. Best of luck to the finalists! And thank you to Skybane Zero for the tip! As much as I wanted legends 3 when I bought a 3ds, I have to ask. what's the point of all of these online legends events exactly? capcom never resumes cancelled games. I'm in. Mighty No. 9 was just a start to bring Mega Man back. I'm even doing a fanfilm to keep the fandom happy.